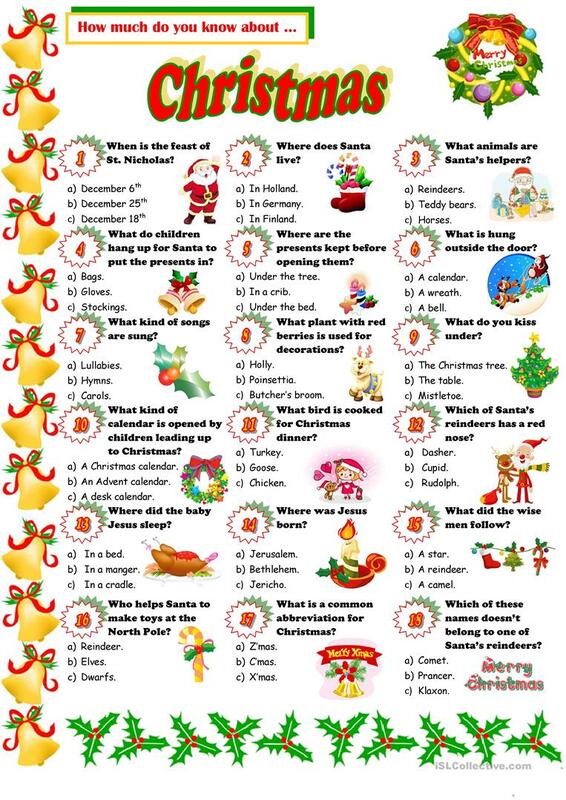 A quiz about Christmas. I hope you like it! The above printable, downloadable handout is recommended for high school students at Elementary (A1) and Pre-intermediate (A2) level. It features the theme of Christmas. The answer key is provided, too. Hi everybody! I've been teaching English for a long time and love doing it. I hope you find my worksheets useful and interesting.